This Grand Canyon Jeep tour covers all kinds of terrain! 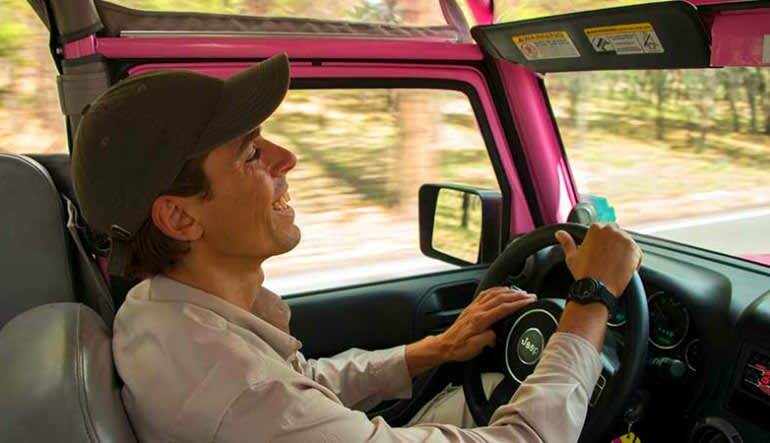 Buckled into a customized Jeep, you’ll enjoy an open-air drive right up to Grandview Point: a legendary South Rim lookout! This Grand Canyon Jeep tour covers all kinds of terrain! 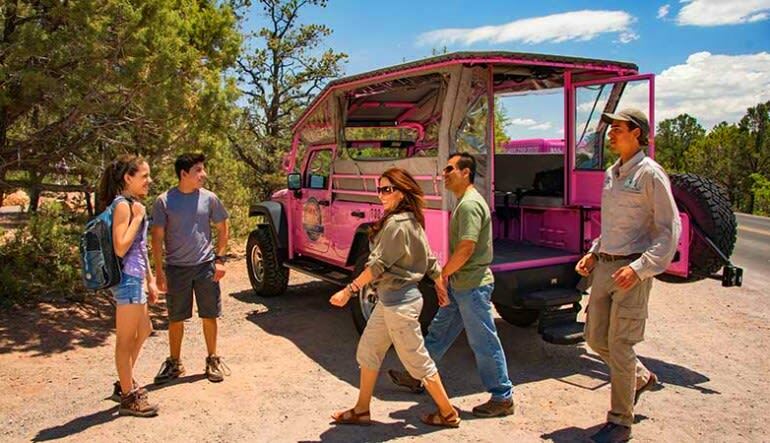 Buckled into a customized Jeep, you’ll enjoy an open-air drive right up to Grandview Point: a legendary South Rim lookout that today is only accessible by chartered vehicle. Here, you’ll step out and take full advantage of the grade-A views! As much a learning experience as it is an adventure, the Grand Canyon Jeep tour comes equipped with an insightful guide that knows this part of America inside-out. Learn all about the landscape, the legends and the wildlife that inhabits this magical place. Take a 2-hour Jeep tour of the Grand Canyon’s South Rim! Enjoy a bumpy adventure down scenic Desert View Drive. Learn all about the Canyon’s history from your guide. Pass the last shuttle stop and continue to Grandview Point. 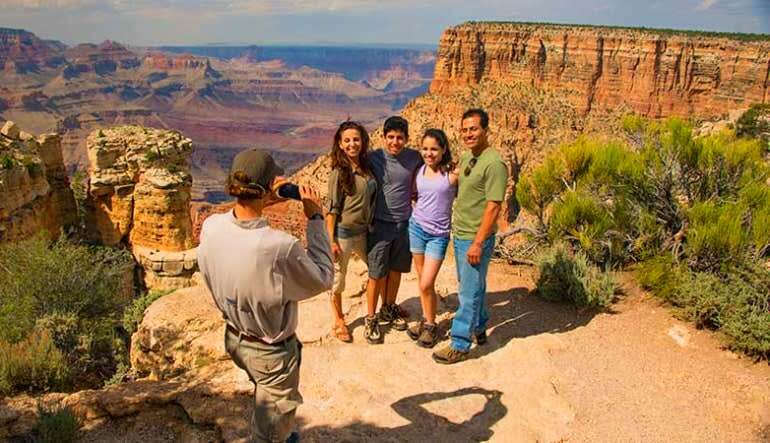 Step out of the vehicle and enjoy exclusive South Rim views! Snap photos of Cottonwood Creek and Grapevine Creek. Cap the adventure off with an IMAX presentation of “Grand Canyon: The Hidden Secrets”! Skip the lines and avoid those long shuttle waits. This private Grand Canyon Jeep tour takes you to all the right destinations!